12400 RBC + DISC + HMF STD FINANCING, wac. 2MUST BE 2010 OR NEW, UNDER 100,000 MILES, CLEAN VHR, RESTRICTIONS APPLY, SEE DEALER FOR DETAILS. 3MILITARY DISCOUNT! - ACTIVE AND PRIOR! 4VOC, MUST OWN A 2011-2018 MODEL YEAR HYUNDAI SONATA OR SANTA FE SPORT 510 YEAR / 100,000 MILE WARRANTY! AMERICA'S BEST! 6#1 HYUNDAI DEALER IN SOUTHERN COLORADO! 7WE WANT YOUR TRADE-IN! HAIL DAMAGED OR NOT! 8NO PAYMENTS FOR 90 DAYS, wac! 9¹ See your participating Hyundai dealer for more details on these special offers. Special limited time annual percentage rate (APR) available to qualified buyers on approved credit through Hyundai Motor Finance. May not be combined with other special offers except where specified. Only a limited number of customers will qualify for advertised APR or lease offer. Not all buyer will qualify. Finance contract or lease agreement must be signed no later than April 30, 2019. Please contact the dealer directly to confirm that the offer(s) apply to the vehicle displayed. All vehicle inventory subject to prior sale. 10¹ See your participating Hyundai dealer for more details on these special offers. Special limited time annual percentage rate (APR) available to qualified buyers on approved credit through Hyundai Motor Finance. May not be combined with other special offers except where specified. Only a limited number of customers will qualify for advertised APR or lease offer. Not all buyer will qualify. Finance contract or lease agreement must be signed no later than April 30, 2019. Please contact the dealer directly to confirm that the offer(s) apply to the vehicle displayed. All vehicle inventory subject to prior sale. Finance for $390 per month at 4.74% APR for 75 months with $0 down payment. Payment expires on 04/30/19. 12400 RBC + DISC + HMF STD FINANCING, wac. 2MUST BE 2010 OR NEW, UNDER 100,000 MILES, CLEAN VHR, RESTRICTIONS APPLY, SEE DEALER FOR DETAILS. 3MILITARY DISCOUNT! - ACTIVE AND PRIOR! 4VOC, MUST OWN A 2011-2018 MODEL YEAR HYUNDAI SONATA OR SANTA FE SPORT 510 YEAR / 100,000 MILE WARRANTY! AMERICA'S BEST! 6#1 HYUNDAI DEALER IN SOUTHERN COLORADO! 7WE WANT YOUR TRADE-IN! HAIL DAMAGED OR NOT! 8NO PAYMENTS FOR 90 DAYS, wac! Lease for $373/month for 36 months with $0 due at signing including $0 Security Deposit and 10,000 miles per year. Payment expires on 04/30/19. Estimated Lease payment based on 36 months and $0 due at lease signing. Cash due at signing includes $1,528 capitalization cost reduction, which includes $650 acquisition fee, plus a required security deposit of $0, and first month's lease payment of $373. Excludes title, taxes, registration, and license fees. Total monthly payments equal $14,951. Mileage charge of $0.20 per mile over 10,000 miles. Not all consumers will qualify. Residency restrictions may apply. 13400 RBC + DISC + HMF STD FINANCING, wac. 2MUST BE 2010 OR NEW, UNDER 100,000 MILES, CLEAN VHR, RESTRICTIONS APPLY, SEE DEALER FOR DETAILS. 3MILITARY DISCOUNT! - ACTIVE AND PRIOR! 4VOC, MUST OWN A 2011-2018 MODEL YEAR HYUNDAI SONATA OR SANTA FE SPORT 510 YEAR / 100,000 MILE WARRANTY! AMERICA'S BEST! 6#1 HYUNDAI DEALER IN SOUTHERN COLORADO! 7WE WANT YOUR TRADE-IN! HAIL DAMAGED OR NOT! 8See dealership for full details of offer. 9NO PAYMENTS FOR 90 DAYS, wac! Estimated Lease payment based on 36 months and $0 due at lease signing. Cash due at signing includes $973 capitalization cost reduction, which includes $650 acquisition fee, plus a required security deposit of $0, and first month's lease payment of $428. Excludes title, taxes, registration, and license fees. Total monthly payments equal $16,351. Mileage charge of $0.20 per mile over 10,000 miles. Not all consumers will qualify. Residency restrictions may apply. Lease for $397/month for 36 months with $0 due at signing including $0 Security Deposit and 10,000 miles per year. Payment expires on 04/30/19. Estimated Lease payment based on 36 months and $0 due at lease signing. Cash due at signing includes $1,504 capitalization cost reduction, which includes $650 acquisition fee, plus a required security deposit of $0, and first month's lease payment of $397. Excludes title, taxes, registration, and license fees. Total monthly payments equal $15,783. Mileage charge of $0.20 per mile over 10,000 miles. Not all consumers will qualify. Residency restrictions may apply. Lease for $398/month for 36 months with $0 due at signing including $0 Security Deposit and 10,000 miles per year. Payment expires on 04/30/19. Estimated Lease payment based on 36 months and $0 due at lease signing. Cash due at signing includes $1,503 capitalization cost reduction, which includes $650 acquisition fee, plus a required security deposit of $0, and first month's lease payment of $398. Excludes title, taxes, registration, and license fees. Total monthly payments equal $15,825. Mileage charge of $0.20 per mile over 10,000 miles. Not all consumers will qualify. Residency restrictions may apply. Finance for $439 per month at 4.74% APR for 75 months with $0 down payment. Payment expires on 04/30/19. Lease for $445/month for 36 months with $0 due at signing including $0 Security Deposit and 10,000 miles per year. Payment expires on 04/30/19. Estimated Lease payment based on 36 months and $0 due at lease signing. Cash due at signing includes $956 capitalization cost reduction, which includes $650 acquisition fee, plus a required security deposit of $0, and first month's lease payment of $445. Excludes title, taxes, registration, and license fees. Total monthly payments equal $16,954. Mileage charge of $0.20 per mile over 10,000 miles. Not all consumers will qualify. Residency restrictions may apply. 13400 RBC + DISC + HMF STD FINANCING, wac. 2MUST BE 2010 OR NEW, UNDER 100,000 MILES, CLEAN VHR, RESTRICTIONS APPLY, SEE DEALER FOR DETAILS. 3MILITARY DISCOUNT! - ACTIVE AND PRIOR! 4VOC, MUST OWN A 2011-2018 MODEL YEAR HYUNDAI SONATA OR SANTA FE SPORT 510 YEAR / 100,000 MILE WARRANTY! AMERICA'S BEST! 6#1 HYUNDAI DEALER IN SOUTHERN COLORADO! 7WE WANT YOUR TRADE-IN! HAIL DAMAGED OR NOT! 8NO PAYMENTS FOR 90 DAYS, wac! 9¹ See your participating Hyundai dealer for more details on these special offers. Special limited time annual percentage rate (APR) available to qualified buyers on approved credit through Hyundai Motor Finance. May not be combined with other special offers except where specified. Only a limited number of customers will qualify for advertised APR or lease offer. Not all buyer will qualify. Finance contract or lease agreement must be signed no later than April 30, 2019. Please contact the dealer directly to confirm that the offer(s) apply to the vehicle displayed. All vehicle inventory subject to prior sale. 10¹ See your participating Hyundai dealer for more details on these special offers. Special limited time annual percentage rate (APR) available to qualified buyers on approved credit through Hyundai Motor Finance. May not be combined with other special offers except where specified. Only a limited number of customers will qualify for advertised APR or lease offer. Not all buyer will qualify. Finance contract or lease agreement must be signed no later than April 30, 2019. Please contact the dealer directly to confirm that the offer(s) apply to the vehicle displayed. All vehicle inventory subject to prior sale. Finance for $441 per month at 4.74% APR for 75 months with $0 down payment. Payment expires on 04/30/19. 13400 RBC + DISC + HMF STD FINANCING, wac. 2MUST BE 2010 OR NEW, UNDER 100,000 MILES, CLEAN VHR, RESTRICTIONS APPLY, SEE DEALER FOR DETAILS. 3MILITARY DISCOUNT! - ACTIVE AND PRIOR! 4VOC, MUST OWN A 2011-2018 MODEL YEAR HYUNDAI SONATA OR SANTA FE SPORT 510 YEAR / 100,000 MILE WARRANTY! AMERICA'S BEST! 6#1 HYUNDAI DEALER IN SOUTHERN COLORADO! 7WE WANT YOUR TRADE-IN! HAIL DAMAGED OR NOT! 8NO PAYMENTS FOR 90 DAYS, wac! Lease for $447/month for 36 months with $0 due at signing including $0 Security Deposit and 10,000 miles per year. Payment expires on 04/30/19. Estimated Lease payment based on 36 months and $0 due at lease signing. Cash due at signing includes $954 capitalization cost reduction, which includes $650 acquisition fee, plus a required security deposit of $0, and first month's lease payment of $447. Excludes title, taxes, registration, and license fees. Total monthly payments equal $17,031. Mileage charge of $0.20 per mile over 10,000 miles. Not all consumers will qualify. Residency restrictions may apply. Lease for $449/month for 36 months with $0 due at signing including $0 Security Deposit and 10,000 miles per year. Payment expires on 04/30/19. Estimated Lease payment based on 36 months and $0 due at lease signing. Cash due at signing includes $952 capitalization cost reduction, which includes $650 acquisition fee, plus a required security deposit of $0, and first month's lease payment of $449. Excludes title, taxes, registration, and license fees. Total monthly payments equal $17,112. Mileage charge of $0.20 per mile over 10,000 miles. Not all consumers will qualify. Residency restrictions may apply. Finance for $472 per month at 4.74% APR for 75 months with $0 down payment. Payment expires on 04/30/19. Lease for $490/month for 36 months with $0 due at signing including $0 Security Deposit and 10,000 miles per year. Payment expires on 04/30/19. Estimated Lease payment based on 36 months and $0 due at lease signing. Cash due at signing includes $511 capitalization cost reduction, which includes $650 acquisition fee, plus a required security deposit of $0, and first month's lease payment of $490. Excludes title, taxes, registration, and license fees. Total monthly payments equal $18,149. Mileage charge of $0.20 per mile over 10,000 miles. Not all consumers will qualify. Residency restrictions may apply. Finance for $475 per month at 4.74% APR for 75 months with $0 down payment. Payment expires on 04/30/19. Lease for $493/month for 36 months with $0 due at signing including $0 Security Deposit and 10,000 miles per year. Payment expires on 04/30/19. Estimated Lease payment based on 36 months and $0 due at lease signing. Cash due at signing includes $508 capitalization cost reduction, which includes $650 acquisition fee, plus a required security deposit of $0, and first month's lease payment of $493. Excludes title, taxes, registration, and license fees. Total monthly payments equal $18,243. Mileage charge of $0.20 per mile over 10,000 miles. Not all consumers will qualify. Residency restrictions may apply. Finance for $505 per month at 4.74% APR for 75 months with $0 down payment. Payment expires on 04/30/19. 13900 RBC + DISC + HMA STD FINANCING, wac. 2MUST BE 2010 OR NEW, UNDER 100,000 MILES, CLEAN VHR, RESTRICTIONS APPLY, SEE DEALER FOR DETAILS. 3MILITARY DISCOUNT! - ACTIVE AND PRIOR! 4VOC, MUST OWN A 2011-2018 MODEL YEAR HYUNDAI SONATA OR SANTA FE SPORT 510 YEAR / 100,000 MILE WARRANTY! AMERICA'S BEST! 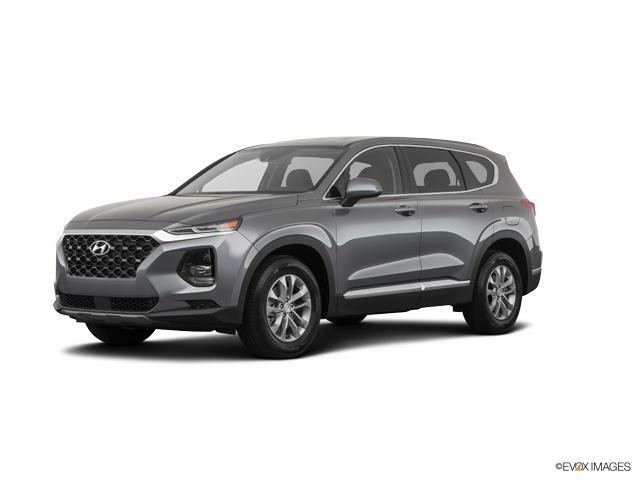 6#1 HYUNDAI DEALER IN SOUTHERN COLORADO! 7WE WANT YOUR TRADE-IN! HAIL DAMAGED OR NOT! 8See dealership for full details of offer. 9NO PAYMENTS FOR 90 DAYS, wac! Lease for $544/month for 36 months with $0 due at signing including $0 Security Deposit and 10,000 miles per year. Payment expires on 04/30/19. Estimated Lease payment based on 36 months and $0 due at lease signing. Cash due at signing includes $157 capitalization cost reduction, which includes $650 acquisition fee, plus a required security deposit of $0, and first month's lease payment of $544. Excludes title, taxes, registration, and license fees. Total monthly payments equal $19,713. Mileage charge of $0.20 per mile over 10,000 miles. Not all consumers will qualify. Residency restrictions may apply. Finance for $527 per month at 4.74% APR for 75 months with $0 down payment. Payment expires on 04/30/19. 13900 RBC + DISC + HMA STD FINANCING, wac. 2MUST BE 2010 OR NEW, UNDER 100,000 MILES, CLEAN VHR, RESTRICTIONS APPLY, SEE DEALER FOR DETAILS. 3MILITARY DISCOUNT! - ACTIVE AND PRIOR! 4VOC, MUST OWN A 2011-2018 MODEL YEAR HYUNDAI SONATA OR SANTA FE SPORT 510 YEAR / 100,000 MILE WARRANTY! AMERICA'S BEST! 6#1 HYUNDAI DEALER IN SOUTHERN COLORADO! 7WE WANT YOUR TRADE-IN! HAIL DAMAGED OR NOT! 8NO PAYMENTS FOR 90 DAYS, wac! Lease for $562/month for 36 months with $0 due at signing including $0 Security Deposit and 10,000 miles per year. Payment expires on 04/30/19. Estimated Lease payment based on 36 months and $0 due at lease signing. Cash due at signing includes $239 capitalization cost reduction, which includes $650 acquisition fee, plus a required security deposit of $0, and first month's lease payment of $562. Excludes title, taxes, registration, and license fees. Total monthly payments equal $20,467. Mileage charge of $0.20 per mile over 10,000 miles. Not all consumers will qualify. Residency restrictions may apply. Finance for $529 per month at 4.74% APR for 75 months with $0 down payment. Payment expires on 04/30/19. Lease for $564/month for 36 months with $0 due at signing including $0 Security Deposit and 10,000 miles per year. Payment expires on 04/30/19. Estimated Lease payment based on 36 months and $0 due at lease signing. Cash due at signing includes $237 capitalization cost reduction, which includes $650 acquisition fee, plus a required security deposit of $0, and first month's lease payment of $564. Excludes title, taxes, registration, and license fees. Total monthly payments equal $20,533. Mileage charge of $0.20 per mile over 10,000 miles. Not all consumers will qualify. Residency restrictions may apply. Finance for $530 per month at 4.74% APR for 75 months with $0 down payment. Payment expires on 04/30/19. Lease for $565/month for 36 months with $0 due at signing including $0 Security Deposit and 10,000 miles per year. Payment expires on 04/30/19. Estimated Lease payment based on 36 months and $0 due at lease signing. Cash due at signing includes $236 capitalization cost reduction, which includes $650 acquisition fee, plus a required security deposit of $0, and first month's lease payment of $565. Excludes title, taxes, registration, and license fees. Total monthly payments equal $20,547. Mileage charge of $0.20 per mile over 10,000 miles. Not all consumers will qualify. Residency restrictions may apply. Finance for $531 per month at 4.74% APR for 75 months with $0 down payment. Payment expires on 04/30/19. Lease for $566/month for 36 months with $0 due at signing including $0 Security Deposit and 10,000 miles per year. Payment expires on 04/30/19. Estimated Lease payment based on 36 months and $0 due at lease signing. Cash due at signing includes $235 capitalization cost reduction, which includes $650 acquisition fee, plus a required security deposit of $0, and first month's lease payment of $566. Excludes title, taxes, registration, and license fees. Total monthly payments equal $20,608. Mileage charge of $0.20 per mile over 10,000 miles. Not all consumers will qualify. Residency restrictions may apply. Finance for $534 per month at 4.74% APR for 75 months with $0 down payment. Payment expires on 04/30/19. Lease for $569/month for 36 months with $0 due at signing including $0 Security Deposit and 10,000 miles per year. Payment expires on 04/30/19. Estimated Lease payment based on 36 months and $0 due at lease signing. Cash due at signing includes $232 capitalization cost reduction, which includes $650 acquisition fee, plus a required security deposit of $0, and first month's lease payment of $569. Excludes title, taxes, registration, and license fees. Total monthly payments equal $20,715. Mileage charge of $0.20 per mile over 10,000 miles. Not all consumers will qualify. Residency restrictions may apply. Finance for $550 per month at 4.74% APR for 75 months with $0 down payment. Payment expires on 04/30/19.